Dirt Connections provides affordable fill dirt delivery directly to your commercial or residential construction site in Reston, VA. We’ve got the fill dirt you need to continue your project on time and on budget, no matter how large or small it is. 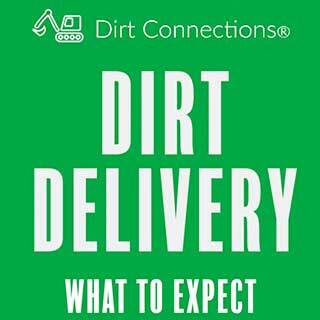 Dirt Connection’s convenient Reston, VA fill dirt delivery service will give you less details to worry about for your project. 7 Schedule a Free Reston, VA Fill Dirt Delivery Right Now! If you have undertaken a large development project, there is a good chance that you are going to require a substantial amount of fill dirt. 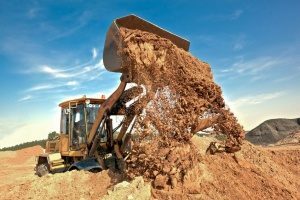 Fill dirt is also used in construction, developing, remodelling, and landscaping to lay foundations for commercial and residential projects, filling in holes, as well as building up and leveling off terrain such as shoulders on roads and highways. Dirt Connections can deliver all of the fill dirt your project of any size needs to stay on a cost-effective schedule. We have built up a pristine reputation over the years with consistent product and service for both residential and commercial projects in Reston, VA. As growth has increased for the area, so has the need for development projects. Our experience and familiarity with the Reston, VA allows us to provide excellent and prompt service and solution anywhere in the area. No matter what size your project is, our company can supply your fill dirt. A delivery fee for the dirt may be applied based on job site proximity, material availability, and specific customer demands. However, anybody with a project requiring ten loads of dirt or more, can have it delivered straight to the job site absolutely free of charge. Our company has the right knowledge and experience needed to help you with your next project, no matter what size it may be. We would be glad to assist you in any of your needs that we are equipped to handle. Before finalizing the offer and the delivering the dirt, we do require that your site undergo a full inspection. This inspection is always offered without charge, but we do ask that an owner or agent be present on the property to grant authorization for doing so. If your project requires excavations, you’ll most likely be left with an excessive amount of dirt left over afterwards. If this is the case, or you have extra dirt leftover from our delivery, we are glad to help. We can efficiently and conveniently remove excess dirt from your property in a timely manner. Dirt Connections fill dirt delivery in Reston, VA ensures your project is made a little easier by reliably serving all of your dirt needs directly to your desired location – at a very affordable rate, or even for free. The familiarity we have with the local area allows us to provide delivery that is always on time, so your plans can stay on schedule. Once you have completed your site safety inspection, Dirt Connections can provide delivery exactly where and when you need it. After all is said and done, we can come claim all of your extra dirt on your job site, helping to finish your project. You won’t have to worry about all of your dirt needs when working closely with Dirt Connections. It’s helpful to properly plan the amount of dirt needed before beginning any construction work, as this helps to avoid unnecessary delays. Determining the amount of dirt is reliant upon proper measuring of the area. 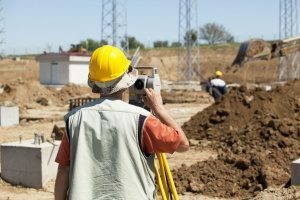 Measuring your construction area for fill dirt depends entirely on the shape of the area being worked on. For a rectangular project, measure out its three dimensions of length, width, and height, and convert the result into cubic inches. This is the most efficient way to do so, as it can easily be converted into the cubic yards that make up how it is usually sold. Follow this by multiplying the length by the width, and the result by the height. This final number is how many cubic inches of fill dirt is needed for the project. Things are a little more complicated for rounded areas. Begin by measuring the diameter of the area, and then its depth, and record both values once again in inches. The correct volume is found by multiplying pi (3.142) by the radius squared and then by the depth of the space. Schedule a Free Reston, VA Fill Dirt Delivery Right Now! It does not matter how large or small your project is – Dirt Connections has the material and resources you need to get it properly get it done the first time – and right on schedule. Give us a call or contact us online today to discuss your project’s needs, and to set up a site safety inspection in order to receive the convenience of potentially free Reston, VA fill dirt delivery.